Hadvar asked for my name. I gave it. Azeriah Letholias. No recognition flashes across any of their faces. We are too remote for anyone to know my family name. Even if I were not “officially” dead, no one here would know it. 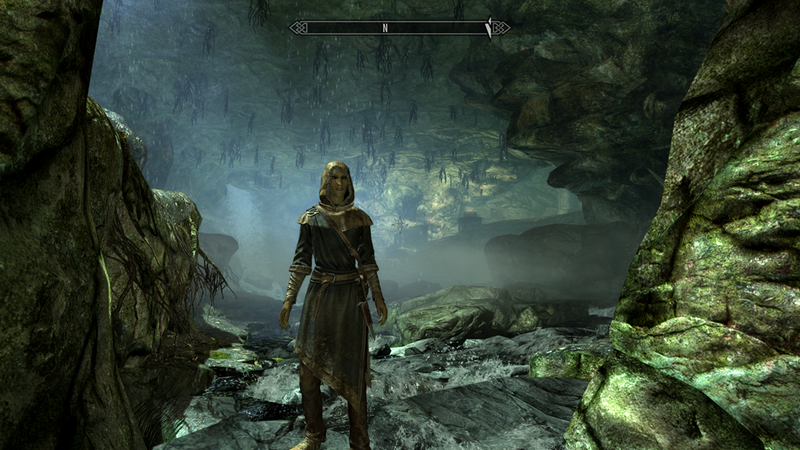 This is what I came to Skyrim for. I wanted to get away from the privilege of my parents’ station, and make my own way. I have been granted that wish. I am completely nameless. I place my head on the chopping block. I do not fight my fate. If this was how I was meant to die, then this is how I die. Hadvar said my body would be sent back to the Summerset Isles. I pondered briefly the surprise of my parents being sent my body. Twice. Then something most peculiar happened. Like something out of the legends of old. A dragon appeared and halted my execution. A…dragon. A myth swooped out of the sky. Once again, I found myself running. Running with strangers because I had no other choice. We escaped through tunnels in the crumbling, burning city. I was horrified to discover a torture room. I had heard the stories of the atrocities committed by the Imperials against the Nords, but we chalked it up to propaganda. And here it was. The ugly truth. I found clothes and quickly changed from my prison garb. It was taken from a prisoner in the torture room, and smelled badly of decay, moths, and…death. I didn’t have the privilege of being picky. It was clothes, and I needed it. 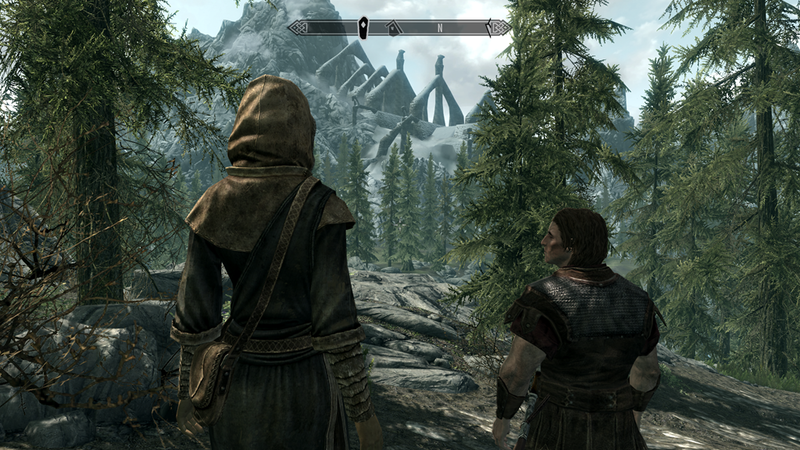 When we escaped the tunnels into the open air of Skyrim, my breath was literally taken away. It was…beautiful. Beyond anything I had read in my textbooks. I stopped frequently to observe the flora, stuffing them in my pack to study in detail later. 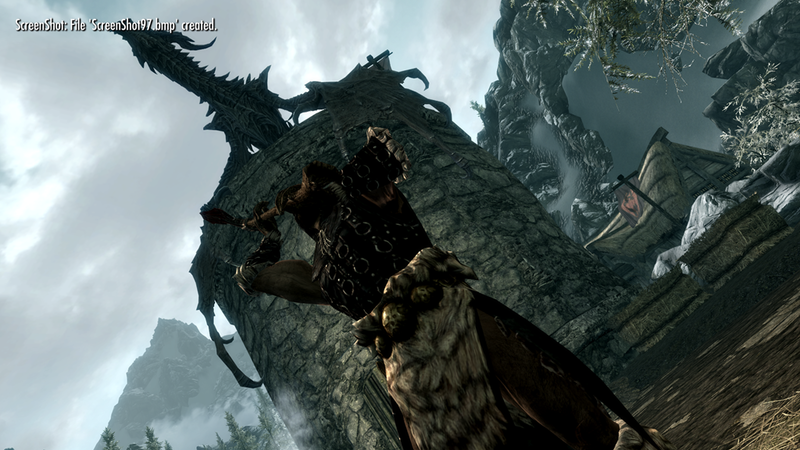 Hadvar said we had better split up, but I continued to follow him. 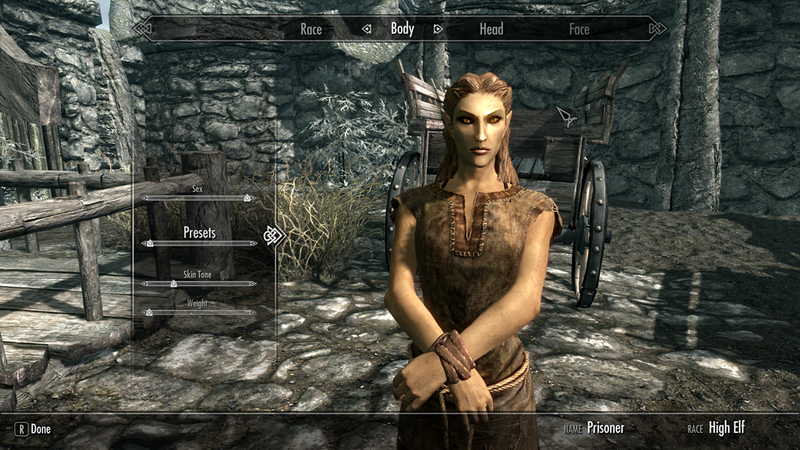 Because I didn’t know anyone else in Skyrim. I had nowhere else to go. He processed my name to be executed, but he was the only person I knew in Skyrim. He noticed that I was still following him, but he wasn’t angry. He stopped to tell me a few things about his land. He pointed out a rather ominous looking place he called Bleakfall Barrows. We stopped to observe mystical standing stones. I touched the mage’s stone, and was enlightened with mysterious arcane knowledge. It promised to help me learn mage skills faster. A useful skill to have around final exam time at school, I thought. 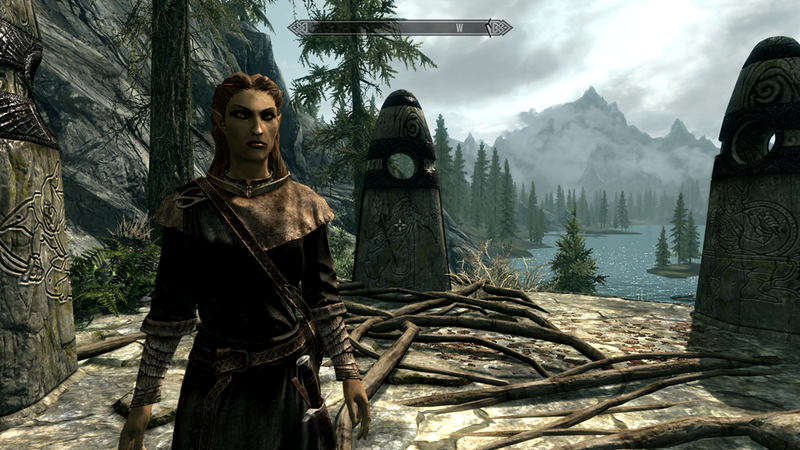 We arrived in Riverwood, where I was introduced to Hadvar’s uncle, Alvor. He invited us in for dinner, and was astounded by our story. Dragons. Hadvar kindly skipped over the part where I was a prisoner to be executed, and referred to me as a friend. While I am no criminal, being treated as such is still an embarrassment. Meeting Alvor was a most interesting experience. He is, perhaps, the first person in my life who extended me true kindness and hospitality. Not because of who my family is…pardon…was. Not because of a favor I might be able to do for him later. True generosity. Kindness because it is what he wanted to do. A good man. Perhaps these Nords are not the barbarians I was once led to believe. He offered me food, which I devoured savagely. I ignored the forks and knives, and stuffed it in my mouth. All my high born breeding and grooming – all the lessons on table etiquette – blast it all. I was hungry. I ate salmon, bread, 2 apples, and downed 2 bottles of wine. My hosts said nothing of my table manners. They proceeded as though nothing were amiss. I noticed my hosts did not use the silverware, either. 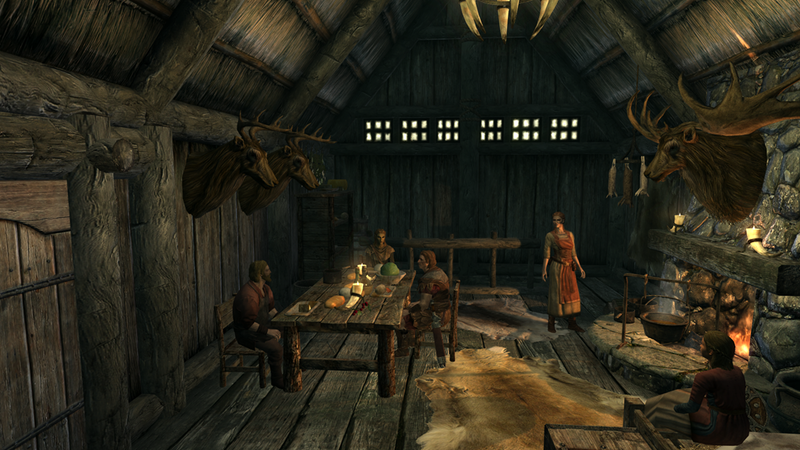 Perhaps in Skyrim, silverware is merely a table decoration. Alvor offered for me to stay, but I felt I was overstaying my welcome. I thanked him, but set off. 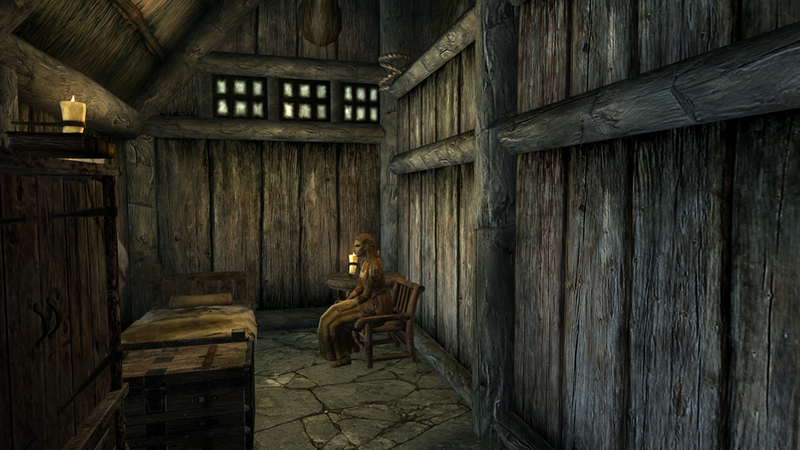 I stuffed a few things in my pack when we escaped Helgen, and I wished to sell them at the store before it got too late. I had not a septim to my non-existent name. I decided at that point I would no longer use my last name. I was simply “Azeriah” from here on out. I went to the store, and a brother and sister were having a disagreement. The sister wanted to go on an adventure to retrieve a stolen item that was taken from the store. The brother didn’t want her to go. This exchange pained me, from my own experience. I offered immediately that I would go and retrieve it for them. I did not want the sister to befall the fate I had come to. Here was someone who loved her, who wanted to keep her safe. No, I will be the one to go. Camilla walked me to the bridge and showed me how to get to the place where they suspected their claw trinket had been taken. Bleakfall Barrows. 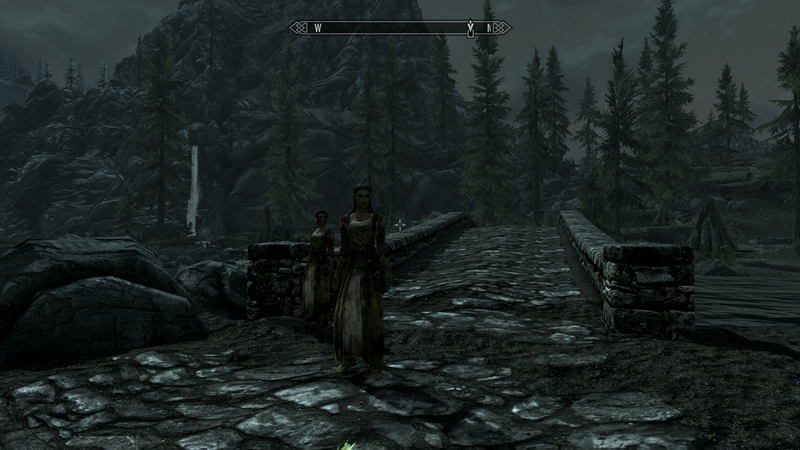 The same place Hadvar showed me on the way down to Riverwood. A chill went down my spine for some reason. At any rate, it was getting late. I didn’t fancy walking up the mountain in the dark, so I rented a room at the Sleeping Giant Inn. The beer in the room isn’t even complimentary. I sighed. Things were never going to be the same. Whatever my life was, is over. I have to make a new destiny, in a strange, foreign land.